With portable and compact design, it is convenient for you to view DVD movies, listen to CD music, watch photos or images and copy music, video, or data to a CD or DVD. 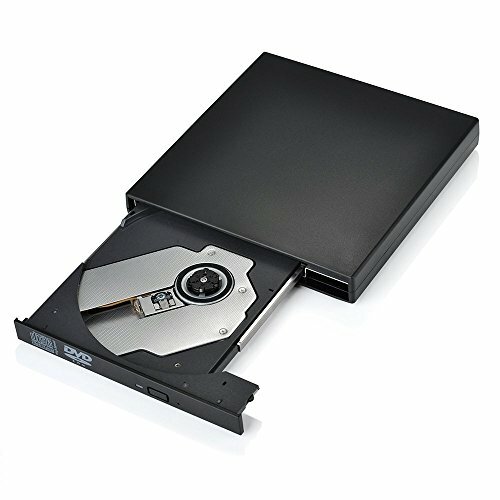 This slim USB2.0 CD DVD-RW writer/drive fits with any laptop and desk computers with USB port. With a power cord, there is no worry about power shortage when connect it to the desktops. Widely fits Windows ME / 2000 / XP / Vista/Win 7/Win 8 /Win10, all version Mac OS System. Suport with Laptop Destop PC Apple Macbook Pro Air iMac Tablet Notebook Computer. Plug and play, no external drive software needed, easy to install and use. Portable Optical drive with Durable Plastic Casing, light-weight, come with 2 cable, one is for data, other is for power. If you have any questions about this product by XinRunHang, contact us by completing and submitting the form below. If you are looking for a specif part number, please include it with your message.